Certified Pre-Owned vehicles from Chevrolet, Buick, and GMC offer greater value and confidence than ordinary used cars. That’s because each of our CPO vehicles undergo a 172-point vehicle inspection and thorough reconditioning process. And it’s why every CPO vehicle includes not one, but two General Motors-backed factory limited warranties. 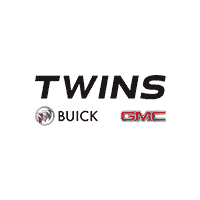 Bring home more value and peace of mind at Twins Buick GMC.